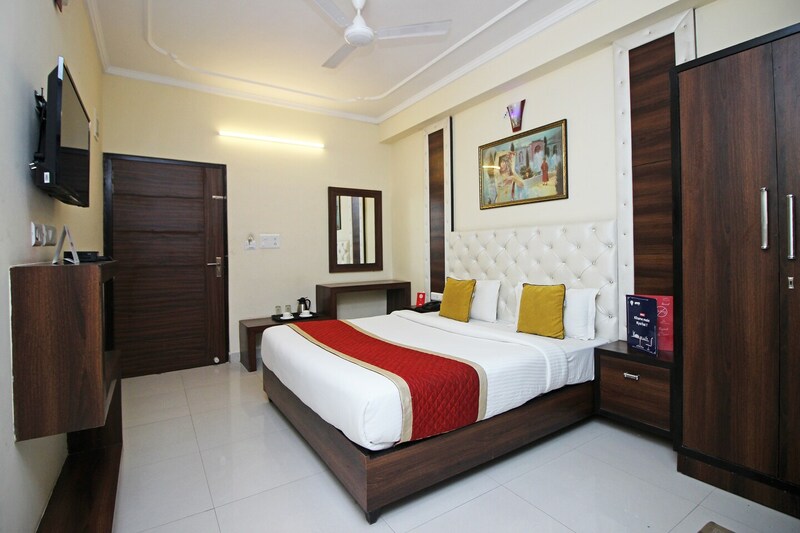 Conveniently located near a number of important landmarks, the Hotel Eden is a must recommendation for all travelers visiting Jaipur and are looking for comfortable accommodation facilities without feeling a pinch in the pocket. The rooms have a lot of wooden interior designs and paintings have been used to adorn the walls. The additional facilities provided by the hotel are free Wi-Fi, parking provisions, constant power backup source, an elevator, and card payment facilities along with CCTV cameras. The in-house facilities comprise a conference room, a banquet hall, and a restaurant. The front desk service is handled by experienced staff who help the guests with their requests and requirements.